Algo is a veteran telephony product manufacturer and the emerging leader in SIP endpoint solutions with millions of hardware devices installed globally. Today the Company offers a range of award-winning SIP and analog notification, voice paging, and intercom solutions specifically designed to integrate with legacy telephone systems, premised-based Unified Communication (UC) servers, and hosted VoIP services. Together with Syn-Apps, the versatile wideband IP paging speakers and LED IP strobe lights can also be deployed for mass notification applications with exceptional voice clarity and conspicuity. With nearly 50 years of telephony expertise and strategic partnerships with some of the largest communications companies in the world, Algo has become a trusted endpoint supplier, partner, and original design manufacturer (ODM) to organizations looking for the dependability, proven compatibility, ease of deployment, and best possible user experience today’s communication applications demand. The 8180 SIP Audio Alerter is a SIP-compliant PoE audio device optimized for alerting and VoIP applications. It has an integrated amplifier, high-quality speaker, internal memory, and offers exceptional loud ringing, voice announcements, and event notification capabilities. For paging, the 8180 can play multicast announcements or be configured as an auto-answer and page SIP telephone using its internal speaker. 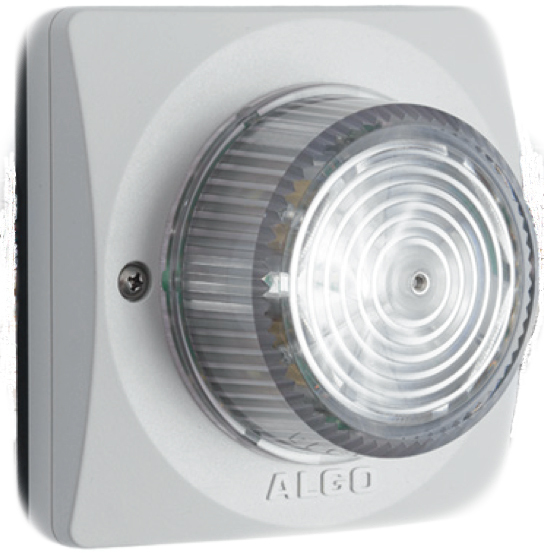 Algo 8186 is a weatherproof SIP compliant IP horn / loudspeaker for voice paging, loud ringing, and emergency / safety / security notification and alerting. The speaker is PoE and does not require an additional amplifier. Common application environments include: warehouse, factory (e.g., OSHA), production floor (e.g. food and beverage processing), utility plant, machine shop, garage, parking lot/outdoor yard, school playground and gymnasium, farm, bus or train terminal, etc. This device is SIP compliant and Syn-Apps-certified with Revolution Notification Platform and Syn-Apps' legacy software, SA-Announce. Algo 8188 is a high intelligibility IP ceiling speaker provides voice paging, emergency notification, two-way talkback, and background music. 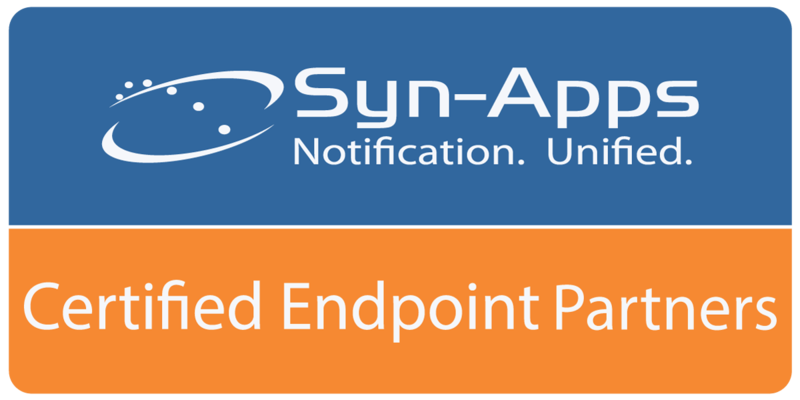 SIP compliant and Syn-Apps-certified with Revolution Notification Platform and Syn-Apps' legacy software, SA-Announce to integrate with Avaya, Cisco, Digium Asterisk, and Polycom environments. 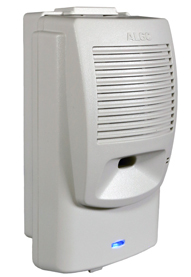 The 8189 is identical to the 8188 SIP Ceiling Speaker, however, it is a slimmer design better suited for indoor surface mount applications required for voice paging and emergency notification / alerting. The 8189 speaker is a PoE SIP-compliant endpoint, and does not require an additional amplifier. Common application environments include a school, hospital, retail store and office spaces. The 8128 SIP Strobe Light is a SIP-compliant PoE high-intensity strobe light for alerting and notification of telephone, emergency, safety, and security events.